A recent story that broke in Ottawa caused significant ripples in the public interest, but only scratched the surface on a problem that has been plaguing our industry and hobby for the past few years. See the article here on the CBC website. In this case, a jeweller in downtown Ottawa visited his nearby Royal Bank branch and purchased a purported one-ounce gold wafer manufactured by the Royal Canadian Mint. Upon beginning to process the bar for use in his jewellery-crafting, however, the piece was quickly revealed to be counterfeit. In other words, neither an authentic Royal Canadian Mint product nor an item with any actual gold content. There is no debating the importance of this story to casual investors and the bullion/numismatic industry at large, however – as is often the case when the press chews down on a juicy news-bone – the key points to be taken became diluted and misdirected. First and foremost, the issue of counterfeit bullion is not a new story. Indeed, a search of the CBC’s own online archives reveals several references to counterfeit gold (both bars and jewellery) being peddled to inexperienced purchasers in the Canadian market over the past few years. Further, in one of the most glaring examples of the experts themselves being duped, gold-dealers in Midtown New York found themselves victims in 2012 of a rash of fraudulent 10-ounce gold bars, each with a then-value of almost $20,000. Even with their experience and intuitive understanding of the material, complacency led to a failure in standard due-diligence, with somewhat devastating financial results. Indeed, as gold-refiner and trader Ibrahim Fadl reflected in the aftermath of his $80,000 loss, “I and the others on the street work off trust; now that trust is strained”. Thus, this is not a new concern to present-day consumers, as further evidenced by the ongoing offering of outright counterfeit Royal Canadian Mint gold bars on websites such as wish.com, referred to as “replicas” and sold at correspondingly cheap prices. In fact, this very point causes me to take significant issue with perhaps the most erroneous statement to come out of this most recent press coverage, namely the Mint’s assertion that “counterfeiting of the Royal Canadian Mint’s gold bullion is very rare”. We will return to this point, however. The involvement of the Royal Canadian Mint (or lack thereof) in this current fake gold scandal brings me to my second observation of CBC’s coverage. Although the Mint and I don’t always see eye-to-eye when it comes to their Numismatic policies, having to listen to them steadfastly deny any responsibility for Royal Bank’s counterfeit sale made me cringe. To say they had nothing to do with this singular issue is simply a given. Certainly, to ask them the question is fair game in journalistic due-diligence, but once answered, it really is time to move on to the more pertinent facts and concerns. Yes, the RCM was somewhat on the hot-seat as it was their product, trade-mark and reputation being abused here, but make no mistake – counterfeit products do not, and simply never will originate from within the walls of their venerable Sussex drive institution. Quite aside from their stellar international reputation, this is a business where security protocol requires both staff and management on the refining side of the plant to exit in sock feet at the end of their work-day, so that even their shoes can be separately x-rayed. Not-withstanding a crafty employee’s recent rectal smuggling campaign, the design, production and distribution of counterfeit gold bars at the Mint with either tacit or covert approval could simply never happen. Thus, to continue to look in their direction on this is an unproductive red herring. Understandably they are feeling the intense pressure at the optics of having their name bandied around in the press. In the third of three interviews I did for CBC on the story, I met a news crew on a dark Sussex Street corner in the rain, just a few paces from the Mint’s main gate. I had not been there for two minutes when the door of the guard-house popped open, and a trench coat with an umbrella walked over to see me. It was the Mint’s director of communications, and – like myself – he wasn’t entirely clear what the CBC was doing on their doorstep in the early evening. We chatted briefly, and it was clear he was just looking for reassurance that we weren’t there on a Mint-bashing exercise. I clarified my own position (that I was steadfastly in their corner), although he did make one comment on the seemingly limited concern he had for those counterfeit RCM numismatic (i.e. “collector”) coins being sold online from overseas that were described and priced as “Replicas”. In reality, our dealer association feels these coins are every bit as damaging to the integrity of our hobby as are counterfeit gold bullion products, and I will return to this point shortly. What was Royal Bank doing selling precious metals across the counter, and what are they doing purchasing gold bullion from the public, both of these activities evidently without the prerequisite product knowledge that the bullion business demands? Let me expand on both of these issues. Firstly, it has been years (even decades) since the chartered banks in Canada were active retail bullion traders. Back “in the day”, I remember walking to my local TD branch in Westboro and ordering a ten-ounce bar of silver. I would pay the fee, and some days later a brand-new TD bar would arrive for pickup. This was similar with most banks. Most especially, Scotiabank was so active in the precious-metal business in the 1970s and later, that you could even purchase older European gold coinage from them of all sizes and varieties. And this makes perfect sense. After all, in a trading business so dependent on secure facilities and abundant operating cash, who better to make a market for themselves in precious-metals than the banks? Over the past decade or so this has changed considerably, however, with most banks abandoning the retail trade of metals entirely. Even Scotiabank, who continues to maintain (I believe) a visible bullion counter at their main Ottawa branch, appears far less interested in dealing in metals and has become quite uncompetitive, making even the selling to them of products originally purchased there quite difficult. The product-knowledge seems to have evaporated at the front-line level, with Scotiabank usually requiring the “sending of coins/bars to head office for verification” before consummating a purchase from the public. Thus, on the one hand, it came as both a surprise and significant concern to our Canadian Association of Numismatic Dealers that the Royal Bank was suddenly re-entering the bullion business. And I hasten to clarify this is not in the least an issue of concern for competition, but rather – as the core issue of this story hammers home in spades – an issue of product knowledge and, most critically, consumer protection and confidence. The question, ultimately, is both a simple and important one. Where did this counterfeit bar come from? As we know definitively that it did not originate from the Mint at any time or in any scenario, it could only have come from a front-line, across-the-counter purchase from the public (assuming we eliminate the legitimate possibility of an internal “switcheroo” by staff). For numerous reasons, including some already highlighted above, this prompts some significant ethical and procedural questions. For a chartered bank to be purchasing precious-metals directly from the public in this way is fairly unprecedented in recent times. The controls put in place to manage inventory have to be effective, and most important of all, the product knowledge has to be rock-solid. The current police investigation into this particular incident will certainly shed light on the former; on the produce-knowledge side, we already have our verdict. As a bullion dealer myself, I have little tolerance or sympathy for Royal on this one. On numerous levels this crappy bar should never have made it past first review, and certainly never, ever have been sold to the public as authentic. Any dealer worth their weight should have had concerns on encountering this bar. True, this particular piece (as with most newer RCM Bars) was sealed in a plastic holder, making the rudimentary test of weighing the piece ineffective. As I demonstrated on CBC television, however, the simple $1,200 electrical conductivity tester we keep in our gallery would have permitted the successful scanning of the piece through the plastic, without having to necessarily compromise the integrity of the holder. Every recognized fineness of silver and gold gives off a different footprint, and – while nothing is a 100% replacement for experience and product knowledge – a ten-second scanning of this piece at the point of Bank purchase (and indeed, at point of sale) would have definitively identified the piece as counterfeit. There is no grey area here. True, the net dollars at risk here were fairly small potatoes (certainly in the eyes of Royal Bank), and the customer was promptly refunded his money. The irony is, however, that this particular purchaser was a working jeweller, rather than the typical casual investor. He was, therefore, the “one in a thousand” that would have immediate need to breakdown his gold purchase for crafting use, and hence almost immediately be able to identify the piece as fraudulent. How many other purchasers would simply have added the piece to the contents of their safety-deposit-boxes, perhaps not to be revisited for years or even decades? For this happenstance we are particularly fortunate. The most important irony in all of this, and hence the source of our industry’s most acute concern? Fraudulent and counterfeit gold and silver have plagued our economy for hundreds if not thousands of years, and therefore – as stressed above – is far from being a modern threat. As a result, the stock answer we, and past generations of bullion dealers have given when asked how one can have confidence in their purchase and minimize risk is very straight-forward: always buy from reputable sources! If not the manufacturers themselves (where possible), then established bullion/coin dealers of good reputation, or the Chartered Banks. And therein lays both my main point as well as the fundamental issue with this incident and resulting news coverage. It is not the $1,600 potentially lost by the duped consumer, nor the fantasy of our national Mint possibly manufacturing counterfeit gold bars, and not even the possible petty internal theft of a teller gone rogue. What threatens to come out of this is a seismic shock-wave to public confidence, and it is in the interest of neutralizing this that all stops have to be pulled out to resolve this “Royal Bank incident”. For this I am quite appreciative of the CBC’s extensive coverage, were it only able to focus on the true core-issues at hand here. Believe it or not, I was asked point-blank on live CBC television during that Sussex Drive interview if my advice was for people to stop buying gold. I am a micro-player in the precious-metals market who of course presented the common-sense response to that question, but just imagine: had I instead, for whatever reason, chosen to use that 30-second soap-box to launch a calm tirade on the profound risks involved in purchasing physical gold, the possible and immediate impact on at least our local bullion industry might well have been more than immaterial. Thus is the power of public perception and confidence, and in turn, the critical importance of the integrity of the retail precious-metals business. In closing, I want to briefly return to the parallel scourge of counterfeit commemorative coins being massed-produced in China. Being offered as “replicas” at a fraction of corresponding Royal Canadian Mint issue prices, there are literally hundreds of different coins entering our market, often within just weeks of official RCM launches in Canada. While I suspect it is just a brave face during this overwhelming assault on both the Mint’s propriety designs and the potential “after-market” pocket-books of collectors, I take significant issue with their communication director’s position that they are not especially concerned with these items being sold as “replicas”, rather than as purported originals. This not only makes absolutely no sense to me from a business-perspective (after all, a dollar spent on this fraudulent crap is a dollar not spent with either the Mint or their distributors, such as ourselves), but the Mint is also dead wrong if they believe no concrete harm comes to our collecting community as a result of these replicas. Never was this more evident to me than a couple weeks back, when a young collector came to the shop with a three-piece set of the earliest Superman coins in silver and gold. We had pre-negotiated over the telephone to purchase them for $1,200, however when presented to me, I had to break the news that they were clearly counterfeit, and effectively worthless. I have no sense that the seller was trying to defraud me – the Chinese producers had chosen to make the gold coin the same diameter as the silver (or about 3 times normal size!). However the quality was good, and the collector clearly lacked the skills to tell fine silver/gold from precious-metal plated. The kid remained composed and didn’t share with me the context of how he acquired the coins, but my gut told me he had been duped. He had done his basic research, and was probably conned into spending $200 or $300 on the set thinking he had scored, only to become one of the scorned who might possibly never spend another dollar on numismatic coins. And indeed, it is not only the unenlightened who always gets defrauded by these replicas. I remember one bizarre incident a couple years back where I thought we had discovered a unique variety of one of the coloured base-metal “bird” twenty-five cent coins. It was a current issue, and our example had a distinct raised ring around the outside rim on the bird side of the piece, which was not present on the actual issued piece as depicted on the leading website of a good dealer colleague. This continued to stump us until we made a surprising discovery – the piece depicted on the website was actually a Chinese-made counterfeit, and hence the piece I had in hand was the normal issued piece! With no malice or intent to deceive involved, our colleagues – with their busy dealership and numerous staff – had simply had the piece enter their inventory at one point, and then make its way through the several steps involved in getting it scanned and posted, without being detected. The quality was that good, and the possibility of perpetuating accidental fraud thus that easy. Our entire industry and fraternal hobby is united in our position concerning Canadian coin “replicas”, in that they are bad news all the way. In addition to being outright assaults on the proprietary design copyrights of the Royal Canadian Mint, the opportunities for fraud and deceit as outlined above far outweigh any possible argument for permitting such items to be sold. Additionally, every single “replica” of a legal-tender Canadian coin that is not clearly marked “copy” remains illegal to both possess and trade; as overworked as they are on this front, both Canadian Border Services and the RCMP therefore have both a right and a mandate to seize these coins when encountered. Know what you are buying, and buy from a trusted source! End of rant – happy collecting! CBC Television’s “The National” recently consulted us on the Royal Canadian Mint’s cancelled “$20 for $20” program. An interesting piece, although in our opinion incorrectly grounded from the outset on the assumption that the falling price of Silver was the prime motivator for the mass return of the coins by the public over the past few years (and hence the Mint’s heavy profit-hit from having to write-down the returned material). This is simply incorrect. While the significant decline in Silver values during the two-year or so period since the series inception certainly helped to impair the Mint’s bottom line, the actual motivation for the coins being returned to the Mint had little to do with this. Indeed, ask any 100 random public buyers of these coins, and I doubt you will find a person among them who would have had the foggiest idea what the actual Silver value of these coins were at any given time while they continued to take advantage of the Mint’s “no-risk” offer of having three coins show up in their mailboxes, tax and shipping-free. In actuality, the Mint’s $20 for $20 coins contained .255 oz of pure Silver, which meant that even during the record-high Silver price surge of March and October, 2012, the net precious-metal of these coins at their very highest was never more than $12. Thus, with a Silver value of never more than 60% of actual cost, these coins were never a good precious-metal investment. Nor, frankly, were they actually intended to be. Before I continue, however, let me be unequivocal in expressing my original take on the $20 for $20 program. In a nutshell, I liked the program, or at least appreciated the void (or niche) it was attempting to satisfy. The odd inspirationally-challenged design aside, the concept of striking thematic collector coins in pure Silver with a budget-friendly tax-exempt price of $20 was a nice idea – certainly compared to the average issue price of the Mint’s multitude of other Fine Silver Numismatic issues, which averaged double or more this reasonable price-point. To me, as both a dealer and collector, the fact that the “face-value” of the series happened to correspond with this issue price was less relevant, although obviously critical to the Mint’s juggernaut marketing program for the series (an important note: recall that the tax-exempt status of the series is neither a product of the particular face-value chosen or the Mint’s benevolence, but rather how our current HST laws treat any Silver or Gold coins or bars with fineness of .999 or greater). And herein lies the crux of the issue, and – most regrettably – it invokes a powerful sense of deja vu from that public relations atomic stink-bomb of 25 years ago, namely the legacy of the Montreal Olympic coin program. Here, succinctly, are the Mint’s two greatest “Achilles heals” of programming and marketing, both of which they seem incapable of drawing life-lessons from. The first (and admittedly least significant of the two), involves the timeless issue of market saturation. As expressed above, I liked the original concept of a $20 for $20 program, mainly based on issues of pricing and concept. And, had they made this an annual series of thoughtfully-designed coins, it very likely would have continued on ad infinitum. The Mint, however, invoked their all-too-familiar “Ex-lax” marketing philosophy: “this seems to have worked well, let’s quadruple the program”. Or, to put it more succinctly: this was essentially a five-year program, and yet we have 18 different $20 for $20 coins on the board, not including the creeping absurdity of the “$50 for $50” and “$100 for $100” issues. Ultimately, it was far less the tanking Silver value of these coins that motivated buyers to express their waning fondness for the coins through a tsunami of returns, but rather a saturation of the market – not insignificantly compounded, ironically, by the success of the Mint’s own marketing efforts. After all, it was so easy to have trios of the coins conveniently dropped into one’s mailbox (heck, you could even earn mileage points on your tax-free purchases if you used the right credit-card!). The inevitable problem was, even at just $20 each, they added up. A trio of each of the $20 issues squirrelled away, for example, and you suddenly find you’re sitting on $1,000+ of the coins. Add in the misguided “investor” interest in the series, and you had the recipe for an inevitable consumer regurgitation. In short, the Mint’s heady loss on the series, forced by very heavy returns and subsequent write-downs, was quite simply the result of people having been successfully persuaded to purchase unnecessary quantities of the $20 issues. After all, not everyone has thirty grand-children, and although the motivations of both greed and speculation can be said to have played a role, by no means would I burden the consumer with the bulk of responsibility here. After all, in being offered Silver coins “at face value”, how could there possibly be a down-side? Which leads us to the second and most critical naughty habit of the Mint, resurrected once again from the dark past. The 1976 Montreal Olympic Silver coinage represented the largest and most successful Olympic marketing program in numismatic history. By my rough calculations, the Royal Canadian Mint used twelve tons of Silver in the production of their 28 different Five and Ten Dollars coins, which were made available by subscription starting a full three years before the Olympics. You could buy them individually, in series of four coins, complete sets of 28 coins, in various quantity rolls, and through the post, at Banks, directly from the Mint, and on automatic payroll deduction schemes. Gosh, if they could have found a way to liquefy the coins and safely blend them into infant formulas for greater saturation, they would have done so. In addition to the uniqueness of the issues (i.e. the first Sterling coins struck in Canada since 1919) as well as appealing to patriotic tendencies, one of the core marketing principle upon which the program was anchored was a now-familiar one: these coins were Legal-tender. Sure, both the Uncirculated and Proof strikings were marketed at somewhat of a premium, however this additional charge (as well as the intrinsic silver to face-value ratio) was quite moderate. Indeed, it seemed, there was little down-side to the extremely popular series, and at the end of the day, this face-value was “guaranteed by the Government of Canada”. And let us be clear – this understanding was far from being simply an implied assumption. Looking over the original Royal Canadian Mint marketing brochure for the series, it is not possible for this commitment to be more transparently clear. It is, in fact, specifically identified as one of the “Top 10 Reasons” for purchasing the coins. Fast forward almost 20 years after the close of the Montreal Olympics (yes, they are still paying off the debt of the Games! ), and I would facilitate a critical but little-known chapter in the history of modern Canadian numismatics. A few years into my early career at Arctic Coin in Ottawa, I received one afternoon a young American who had driven up from New England in his dad’s SUV. Piled in the back of his vehicle was $100,000 face value in Montreal Olympic Silver coins. His father, a physician who had invested in the coins, grew tired of waiting for Silver values to rise enough to allow for an intrinsic profit on his hoard, and had dispatched his son to Toronto to cash in the coins at face-value at an affiliated bank. Said bank, it turned out, declined to accept the coins, so next to Montreal drove the hoard with the same intention. Once again, however, the coins were turned away, and so the knock came to our door to see if coin dealers could facilitate the redemption of the coins on the owner’s behalf. This was on a Friday, and I remember clear as mud helping to offload the approximately half ton of coins in the middle of a rainstorm into the basement vault of a bank on Wellington street for weekend safe-keeping, while we awaited an official response from the Mint on the procedure for redemption of the coins. Monday came, and with it a bombshell declaration. We were informed that no, ultimately the Mint was not in fact obligated to redeem the coins due to some mumbo-jumbo technical loop-hole, the details of which I cannot recall. Back out came the half ton of coins from the bank’s basement vault, and back home to the U.S. went the owner’s son and the family booty. I was interviewed by the Ottawa press within 48 hours of the event, and the resulting story went “print viral” from one coast to the other. For not only had the Mint declined to honor their own very explicit marketing commitment on this particular series, but they had also, in effect, called into question the core underling “face-value” principal on their entire numismatic product line. The sad irony was, had they simply taken back the coins, melted them down, and flogged off (or more likely, simply reused) the reclaimed Silver bullion, their net loss due to the then difference between redeemed face-value and the intrinsic Silver value would have been perhaps ten grand or less. No small potatoes, but a corporate drop-in-the-bucket compared to the resulting damage-control they had to mobilize in order to shore up their impaired goodwill in the face of extremely poor optics. A cobbled together, half-baked scheme was soon put forward whereby dealers in Canada would be supported in redeeming the coins from customers at face-value, on the understanding that we (dealers) could then “spend” the coins on Royal Canadian Mint inventory purchases with a 2% inconvenience fee offered to us. Even the Amazing Kreskin could have foretold that such a plan, with its intense cash-flow constipation, handling inconvenience, and obligation to in turn spend entirely on new retail product was not going to prove ultimately viable. A revised agreement with the Royal Bank to receive the Olympic coins for deposit to existing accounts proved more effective, however dealers such as ourselves – the ultimate receptacles for the coins in quantity – were forced by pure economics to purchase the coins at an average 10% discount off face-value, in order to cover the time and expense of facilitating the exchange. Thus, even in this new strategy of “accommodation”, former Olympic coin collectors still saw the integrity of the face-value of their coinage eroded. As complicated as this entire quagmire was, however, it would take only an appropriate increase in the market value of Silver – to the point where the intrinsic value of the Olympics coins would meet or exceed the face value – to quickly make the redemption controversy go away. This would take a further full decade to come to fruition, at which point Silver prices began a steady increase, enabling coin & bullion dealers to begin paying in excess of face-value for the 1976 Olympic coinage. Thus, immediate problem resolved in the eyes of the average consumer just looking for a fair deal, though this came about entirely as a result of market forces happenstance, rather than through any committed and affective effort on the Mint’s part to both restore goodwill and reform their marketing practices. Which brings us now full-circle to our present “déjà vu” parallel. When CBC first approached me last week with their request for an interview and comment, my initial reaction was one of surprise. Surprise that the Mint actually had the degree of loss that they were reporting, in that it implied (validly) that a sufficiently large number of customers had actually been successful in returning the coins in order to generate this write-down. On this the Mint actually deserves credit, in that it appears that whatever mechanism was put in place to facilitate returning the coins (i.e. “redemption”) actually served its purpose. So for this “golden window” I tip my hat. What really fuels my surprise, however, is my own professional experience that reveals these $20 for $20 coins are actually notoriously difficult to redeem currently, and have been so for at least the past year. Not only do I have first-hand experience of multiple customers being turned away from even their own banks, but my own recent single redemption transaction with one of my own banks (who, I must say, otherwise treats us very well) was extremely difficult, only being made possible after my pushing through multiple layers of front-line staff until getting a qualified okay from “head office”. To anyone even thinking of espousing an official line of some form on the willingness of the Royal Canadian Mint to facilitate a hassle-free redemption process on these coins (which, after all, was once again the implied underlying pillar of the $20 for $20 program), I issue this simple challenge: take a handful of the coins to a bank branch – any bank branch – and see what loyal customers go through in trying to simply cash out of these “legal-tender” coins. Visit the coin businesses of any major Canadian City, and you will discover that very few (if any) continue to redeem these coins as a courtesy to their customers. This face-value floor, an undisputed covenant between the Royal Canadian Mint and their customers, has now fallen away, leaving most dealers in the economically-necessitated position of having to purchase these coins at heavy discounts off of face-value to avoid the alternative certainty of a money-losing transaction. 2) As with any person or entity for whom history is simply relegated to the dust-bins of yester-year, the Royal Canadian Mint seems oblivious to the lessons afforded by the past. In every life and career there are some memories that stand the test of time above all others. Memories that, upon reflection, bring you back to a moment in time that can remain as sharp and vivid as if it were just yesterday. In my own case there are likely a few such candidates, however only one stands out when I think of my earliest years in the coin business, and that would undoubtedly be my brief and bizarre encounter with the “Jesse James” of stamp thieves. It was June of 1990, and nearing the end of my second year working for Lincoln Heights Coin & Stamp in the west end of Ottawa (if memory serves, I had recently been “upped” to Director of Numismatics for the rapidly growing company). Some days earlier, we had received a faxed bulletin from the Ottawa Police about a valuable stamp collection that had been stolen in the National Capital region. It was notable not only for its extensive value, but for the unique character and rarity of the some of the material involved. As was always the case, a file-number was attached with a request to contact the Police if anything matching the brief detailed inventory happened to surface. I do not remember the ensuing day of the week in question, but I can clearly recall the setting. Our store at the time was quite narrow, with cash and hidden work area at the very back, and a long series of end-to-end counters that ran up one side of the store to the front entrance. It was a busy day, pretty much standing room only, with myself, one of our staff ladies, and the late Bill Perrin all serving at the counters. Bill, a retired senior and former wheeler-and-dealer in coins on the flea-market circuit, worked with us part-time. He was mildly crusty and never shy to speak his mind, but he was also trustworthy and attentive. We appreciated him, and I like to think he appreciated us. On this particular day-of-days, I finished whatever task I was involved with and received a customer at the small counter located at the very back at the store, so that I was facing the sales-floor and front entrance to the store (as we were in a shopping center, the entire front of the store was wide-open during operating hours). I did not recognize the customer, a youngish mustached man perhaps in his late twenties or early thirties. He began the conversation by expressing an interest in selling his stamp collection, and I invited him to show me some samples (all the more ironic on reflection, knowing how little philatelic knowledge I had ever managed to absorb). That, however, wasn’t to be a problem on this occasion. There, on the counter before me, were placed two fabulous items that looked they had just exited out the back door of a museum. The first, an entire sheet of some early South American inverted stamp error, and the second some type of Spanish imperial envelope cover with ancient red wax seal still intact. Why was my lack of philatelic knowledge not an issue here? The answer lay not five feet from where we were standing, in the police fax which contained images of these two precise items. Hence – in addition to my heart which had temporarily planted itself in my throat – I realized I had an acute existential dilemma. There was no reasonable doubt that I was looking at a portion of the most valuable philatelic collection ever stolen in Canada. I obviously couldn’t confront the seller, however. I had no idea how he would react if he felt cornered – would he react violently, was he carrying a weapon, would he simply bolt? I had a store full of people, which paradoxically provided both a sense of security as well as grave concern. Thankfully, customer-service auto-drive prevailed over panic, and we began an engaging discussion. The seller didn’t seem to know that much about his collection (no surprise there), and the need for higher philatelic expertise in order to properly evaluate the material before me may have been pretense for making a telephone call to Paul, the owner of the business. The additional challenge, however, was that the telephone sat only about six feet away – although behind a glass door leading to a small processing room, I could still be both seen and heard by the suspect at the counter. Fortunately Paul was home to answer the call, and somehow – while trying to maintain a reasonably relaxed composure – I was able to convey the message that we needed help. And quickly. “Stay calm, the Police are on their way,” Paul assured me. I hung up, and turned my attention back to the stamp bandit. I am not clear on how much time passed (it felt close to forever), but at one point I looked past the suspect and saw two uniformed Ottawa Police officers approach the front of the store. I felt frozen, not wanting to give the person any excuse to turn around, noting the sea of people that still stood between the Police and the two of us. As we continued to discuss the stamps, I watched one of the Police officers step to the end of the counter and begin a discussion with Bill. “What the Hell!” was my immediate thought – resisting with every fibre the overwhelming desire to flail my arms at them like a drowning imbecile. And then it happened. 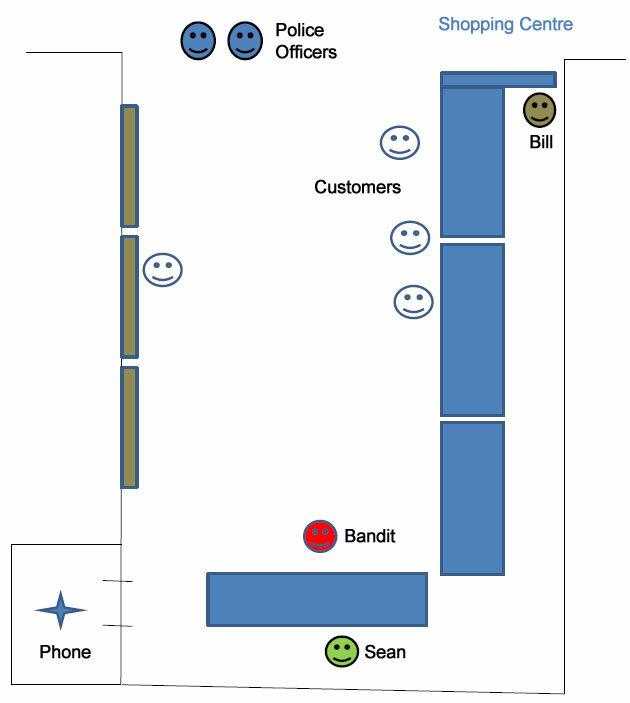 While the Police waited at our front entrance, Bill began making his way down the long inside path of the counter towards me, with a puzzled expression on his face. Coming up to me, he paused, looked briefly around, and then leaned forward so that only myself and the suspect could hear what he was about to say. Fortunately for everyone concerned, the look on my face must have spoken volumes. The two officers quickly made their way into the store, and one actually moved around the counter to stand beside me in a protective stance. The suspect expressed cooperative confusion as he was taken into our sorting room for a chat, and only on showing them the faxed bulletin did the Police seem to understand the true dynamics of the situation. Shortly afterwards, the suspect was led out of the office in handcuffs, and my last glimpse of him is something I will never forget – a look of genuine panic crossed his face as he watched one of the officers begin to fold the rare sheet of error stamps into quarters, for easier transport. A stamp thief he may have been, but at least he cared about the true philatelic integrity of the piece! 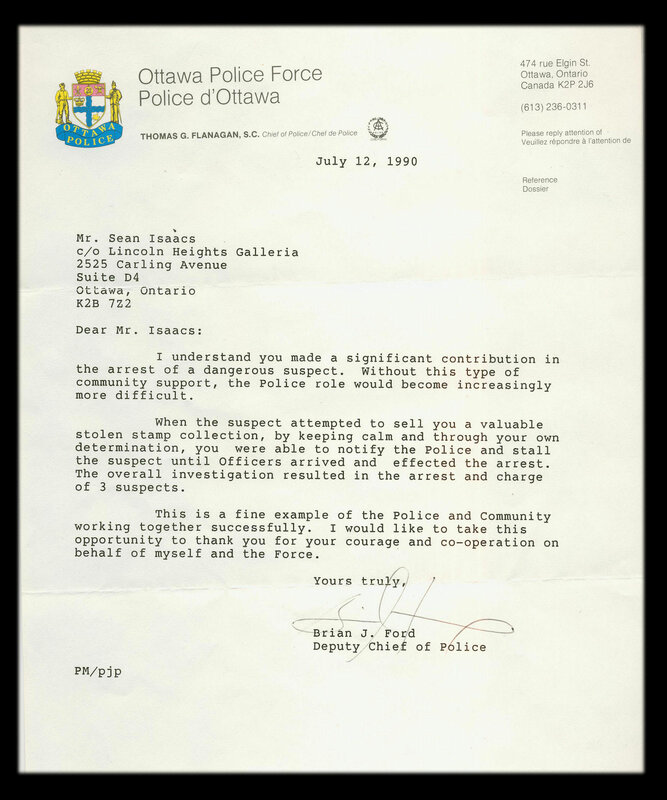 Some weeks later I received a nice letter of thanks from the Deputy Chief of the Ottawa police, informing us that three people had been arrested as part of the overall investigation. What the letter didn’t reveal was that the theft of the collection – apparently valued at a quarter million dollars – was apparently an “inside job” involving Canada Post employees. Strangely (or perhaps not), the whole affair never seems to have hit the news, and I sometimes wonder who actually owned the stamps, and how they must have felt to have these treasures successfully returned to them. In the first four segments of these “memoirs”, I detailed my rather profound transition from keen collector to apprentice of Paul Davis, and full-time dealer of coins. In these next couple chapters, I will choose to pause the overall progression of time and instead share with readers a few of my favourite anecdotes and experiences from the earlier years of my apprenticeship. The first involves a rather memorable visit Paul and I took to Cuba in late 1994. This was an interesting time for Cuba, both in terms of politics and numismatics, with relations between the country and the United States frozen solidly in time. Trade of virtually any kind was forbidden between the two, and United States citizens were not permitted to visit Cuba. At the same time, however, the state of the modern Cuban numismatic industry was remarkably advanced. Not only were they proliferous producers of domestic commemorative coinage in both base and precious-metals (i.e. Silver and Gold), they were also the key minters of collector coinage to many other “veiled” socialist countries including the Congo (People’s Republic), Laos, Vietnam and Kampuchea. Add to this the fact that the United States was perhaps the world’s largest market for such coins – made acutely challenging by an absolute prohibition of importing these issues into the country – and a clear opportunity became apparent for any Canadian coin dealer willing to explore the development of a relationship with the Cubans. And yes, Paul was quick to recognize the potential of such trade, perhaps after having chatted with a represent of the Cuban Mint who would, on rare occasions, quietly visit the Toronto coin show scene in the late 1980s in order to try and promote their wares. Thus, we began to import fairly copious quantities of the inexpensive Cuban 1 Peso commemorative coins in cupro-nickel, which featured a fantastic variety of themes ranging from mosquitos to ships to fish and fauna (together with, of course, the multitude of issues honoring the “fathers of the revolution”). All of which, of course, had to be paid for in United States Dollars that could not pass through the U.S. banking system, in accordance with the strict sanctions of the day. These sold quite well for us, and Paul soon decided that it was time to take our trading relationship to a new level. To Havana we would go, and press the Cubans on whatever more enticing numismatic goodies they might have stashed away. Thus we set off on a chartered Air Transat flight from Ottawa – a plane that not only had a “non-smoking” section that ended one row behind us, but which also seemed to be okay with people actually standing in the aisle chatting while we were literally taking off. Eventually we landed in Fidel’s Cuba, and after a bit of initial sight-seeing around Old Havana, I believe it was on the second day that we attended our appointment at the Cuban Mint. Recalling this experience after 25 years, I do not recollect many elements of our overall visit to the country, yet my impressions of the resilience and self-sufficiency of the Cuban Mint remain sharp. In spite of having been completely cut off from much of the western world for most of a generation, and the much earlier loss of their Soviet supporters to their obvious economic detriment, their Minting operations were remarkable. From the production of their own planchets, to the design, striking, packaging and shipping of a multitude of well-executive coins – both business-strikes and non-circulating commemoratives – and even to the manufacture and repair of their own minting equipment, the overall quality and volume of their output was (again) remarkable. Perhaps my most vivid memory was looking in on a laboratory-like room of ladies, all sitting at desks while hand-enameling the often stunning coloured Cuban coin issues (usually higher-denomination issues in pure Silver). Eventually, after our full tour, Paul and I were led to a meeting room where we were to meet and negotiate with Mint senior management. I should note at this point that I spoke not a word of Spanish, and none of the Mint officials could speak a word of English. Paul, in his ongoing quest to better his grasp of foreign language skills (usually inspired by interest in a woman, in must be duly noted), had developed a functional understanding of Spanish, and was to be our facilitator. This I had understood from the outset. What I had not anticipated, however, was his unspoken plan for us to adopt a modified “good-cop, bad-cop” approach to the discussions, with myself as the decision-making chairman of the company, and he the negotiating underling. Thus began a protracted and somewhat bizarre discussion where, periodically, they would pause while Paul gave me bits and pieces of their conversation, and then ask for my “approval” – at which point I would feign stern contemplation – and then respond. Looking back on the meeting after all these years, I sometimes wonder if I was actually a patsy, with their actual discussions having nothing to actually do with me. Who really knows! What did come out of the negotiations, however, was very much a landmark numismatic agreement, for it had come to light that the Mint had built four “archival” collections containing one each of every modern Cuban coin struck in the building since the 1970s. These ranged from the hundreds of base-metal, Peso commemoratives referenced earlier, to rare and fabulous multi-ounce commemoratives and piedforts in both pure Silver and Gold, including patterns and test-strikings. One of the collections was mandated to be held by the Cuban government in perpetuity, and a further two sets were previously sold to the State Museums of other South American countries. The fourth and remaining intact collection was now on the table. The ultimate prize, however? The fabled “Lenin” 100 Pesos, a pure gold issue struck in 1977 with a total mintage of just 10 pieces. Certainly among the world’s most valuable modern issues at the time, with an envisioned retail value of U.S. $10,000. An example of the coin hadn’t entered the market in more than a decade, and here was the only known potentially-available specimen put forward in offer to us , with one minor stipulation – it would only be available as part of a “package deal”, together with the other thousand or so coins making up this remarkable archival collection. We concluded our memorable “Bueno-cop, grumpy-cop” performance with a hand-shake agreement, and spent our remaining days in Havana sightseeing before leaving for Varadero, our ultimate departure point. Sitting in the airport awaiting our flight, a lovely incident of happenstance occurred as I looked up and saw Canadian Senator Jacques Hebert strolling through the small terminal. The late Senator will perhaps be best remembered for his founding of the Katimavik youth program, which later spawned the much larger CIDA-sponsored Canadian World Youth program. It was the CWY program that had taken me to Nanaimo and Indonesia several years earlier, and I had long wished to shake his hand and thank him for the transformational experience – without which, I would not have met my wife Nana. We spoke for a few moments, I at last shook his hand, and a bit of positive good karma came full-circle at that particular moment and place. Back in Ottawa in the ensuing weeks, we prepared to welcome the Cuban Archival Numismatic collection to its new home, after completing some complex payment arrangements for the six-figure purchase price. The collection eventually arrived, and was fabulous. We produced inhouse a bound catalogue “Cuban Commemorative Coins” that immediately became the definitive reference on all modern issues of the Havana Mint, and which included a remarkable 44 coins that were entirely unknown to the collecting world prior to publication. The Gold Lenin immediately found a quiet home with Canada’s foremost collector of Cuban coinage, and the next few weeks and months saw an eager feeding frenzy among hungry collectors on both sides of the border. I have never made it back to Cuba in the ensuring decades, and wonder how the time-capsule of “Old Havana”, together with their remarkable and historic Mint, may now change in this bold new era of Cold War dissolution. In my first two columns, I wrote of my early emergence from the solitude of coin collecting with the discovery of a larger numismatic “fraternity” in Ottawa, after moving to the city at the age of 13. In recalling my encounter with a tyrant or two, I realize I neglected to give a nod to some esteemed members of the local collecting community who supported and enhanced my activities. Most I met through the [then] City of Ottawa Coin Club, and included the familiar names of Graham Neale and Allan Davies – both of whom were seasoned vest-pocket dealers. I appreciated their guidance, and some of my very first early English coins I acquired from Al in those days. Both gentlemen I consider friends and colleagues to this day. A third name to add here – and one that would have a profound influence on my transformation from collector to dealer – would be Paul Nadin-Davis. I had already met Paul a few times. An English-born former lawyer, he had embraced the field of numismatics after traveling across Europe in the 1980s, spinning small coin deals into ever-larger coin deals. He first hung out a shingle about 1985 or so, in an upper floor of a Metcalfe Street office building in downtown Ottawa. Essentially an office to accommodate his mail-order business, it also offered a walk-in opportunity for local collectors. I made occasional trips down by bus and purchased a couple of very nice (once again) early British pieces, in the process being introduced to the fairy uncommon concept of trust between customer and dealer. 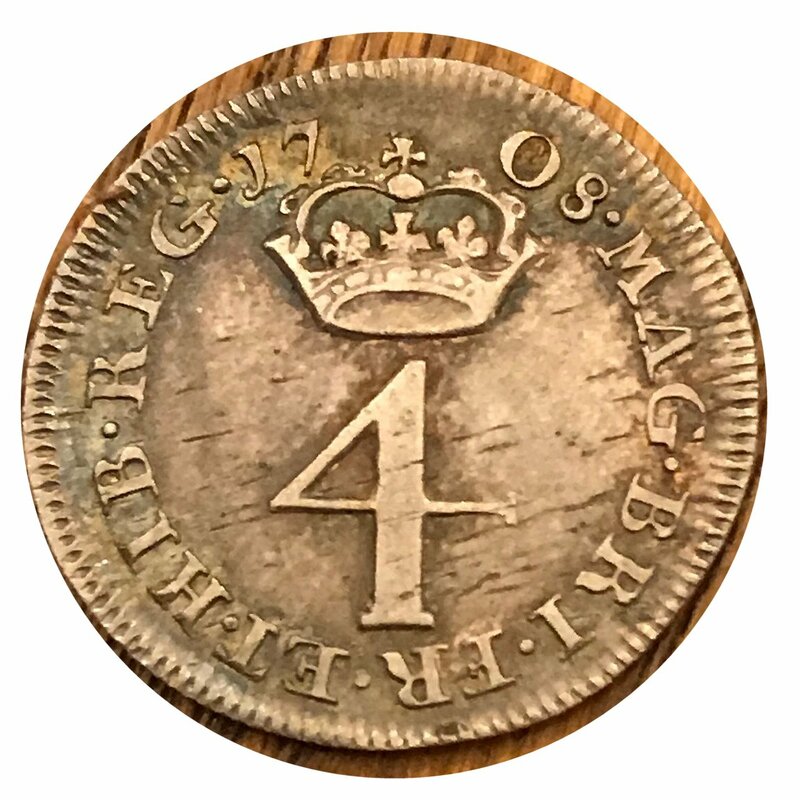 For example, I purchased a lovely 18th century Half Crown on lay-away, and was invited to take the coin with me while I continued to make payments. I also attended one or two of Paul’s local public coin auctions, and seldom left empty-handed. Thus, I was only somewhat surprised when I attended the grand re-opening sale of a new west-end shop called Lincoln Heights Coin & Stamp, and found Paul standing behind the counter. This was the early fall of 1988, and Paul had seized the opportunity to have a full retail presence in the city by purchasing the existing business from Peter Degraaf, a long-time coin dealer who once had four outlets in Ottawa (including the venerable Sears Coin & Stamp locations). It was a fateful day for both of us. I think we chatted about the new business for a few minutes, I looked through some of his inventory, and then he simply asked me if I wanted a job. I remember being somewhat stunned; having years earlier given up pestering the Ottawa dealers for a job, it hadn’t even occurred to me that such an opportunity would actually present itself. I said yes, of course, and spent the next day or two trying to figure out how to combine some new coin-shop hours with my existing Eaton’s schedule. That is, of course, until I suddenly slapped myself in the head and realized this was the open-door I had so long been waiting for – there would be no ‘accommodating’ my job in the coin shop, it was now hopefully my future. I gave my notice at the Bayshore Eaton’s, and showed up the Lincoln Heights shopping center for my first day of work in the coin business. Stepping behind the counter was an exciting moment, but also brought with it the sobering realities of being part of a retail business. For all my enthusiasm and self-taught knowledge of the hobby itself, I had virtually nil business experience in terms of appreciating fairly basic concepts such as cash-flow, overhead, and the time-value of money, etc. Indeed, it would take some frustrating time to fully appreciate how taking a collection purchased at twenty-five dollars, investing two or three hours of time into it, and then selling it at fifty dollars would still result in a money-losing devotion of resources. In this respect, the ‘business’ part of the ‘coin business’ was my Achilles heal, however fortunately the expectations of Paul and his staff were in keeping with reality when it came to my abilities on this front. When I speak of ‘staff’, I refer to the ladies that Paul ‘inherited’ as part of his take-over deal with Degraaf. And, ironically, as I foreshadowed in my earlier writings, Lorna and Marina were already seasoned sales veterans of the coin and stamp business, having worked with Peter at his Sears Carlingwood location (yes, the same coin shop and pair of ladies I had pestered every Saturday for most of the 1980s). As a result, there was some awkwardness in the early days of my new job, as I learned to temper my precociousness and become part of a team at Lincoln Heights. Eventually we all grew to respect each other’s strengths, and Lois Hedley soon joined the team as the defacto admin and shipping backbone of the company. We were quickly a happening company, with both a national and international presence. Paul mentored his prolific production of price-lists, we provided numismatic components to some of the largest direct-marketing companies in both Canada and Europe, and I was soon introduced to the pivotal trade-show circuit. Much could be written about Paul himself, but suffice it to say he was an imposing and almost exhausting personality. Quite brilliant, and always ahead of the curve, his personal DNA was also seemingly hard-wired with an inextricable layer of deep narcissism. I suppose I should have clued into this during one of our very first discussions on the future, in which he expressed encouragement for the development of my own world view and business philosophy, “as long as it was the same as his”. It goes without saying, however, that in terms of a high-adrenaline introduction to the coin business and all the exciting facets it comprised, there would have been few individuals indeed who could have offered a comparable apprenticeship experience to that of Paul Nadin-Davis. I spent the next three year or so working out of the Lincoln Heights location, as the scope and level of business activity grew steadily in terms of both volume and diversity. Just over a year after first starting my new numismatic career, Paul invited me to join him for a trip to the New York International Coin Show – my first major show outside the country. It was December 6th, 1989, a date I sadly remember so clearly only in that we were driving through the mountains of New York State when news broke of the Montreal Ecole Polytechnique tragedy. The New York show was both a collector’s and dealer’s dream, right in the heady days of the late 1980s coin market. Dealers from all over the world descended on the show with their retail and wholesale goods for barter. In those days, you could actually buy ancient coins by the bagful, and I clearly remember being entertained while watching as Paul entered into loud and aggressive haggling with the Germans over a thousand-piece sack of Roman Silver Denari. Remarkably, they were only 50 Pfennig apart on each coin (then equivalent to about .30 Cents! ), yet neither side seemed keen on backing down. I don’t recall which side ultimately caved in, though we returned home with a thousand pieces of ancient Roman Silver in our trunk. The resulting look on Paul’s face delights my memory to this very day. In my previous column, I detailed my childhood induction into the hobby of coin collecting as a solitary pursuit, driven both by my keen interest as well as need for grounding throughout a series of moves from one Ontario community to another. Our eventual move to Ottawa would evolve and forever change my cosmology (or “world view”) on the hobby, with the realization that there was actually an accessible fraternity that even a young collector could be a part of. I cannot say that I came kicking and screaming to Ottawa, but I certainly wasn’t enthusiastic. The move made sense, though, as my mother’s musical agent – Elaine McKay – was not only based in the city, but also owned “Elaines” on Bank Street, one of the last of the great Irish taverns. The long-gone Churchill Arms at Carling & Churchill – with its renowned 3-storey-high outline of the British P.M. – was also a regular source of gigs for mom’s Irish-Folk talents, and thus we made Westboro our new home. Looking back, it was a great neighborhood in which to grow up, and my few life-long friends I very soon encountered in those early days. My very first encounter with a “Coin Dealer”, however, occurred before we had even chosen an apartment to move into. I believe it was our first or second day of home-hunting when I persuaded my mother to take me to the “Coin Center of Canada” on Bank Street, across from Billings Bridge Plaza. I’m not sure what drew me there (perhaps the impressive name?) rather than to the other choices available at the time, but it was my very first encounter with one Mr. Thomas Swadron. Imposing and intense are my memories of the visit, amid a virtual dreamscape of shelves and cabinets brimming with coins and banknotes. While initially welcoming, his interest and attention to my mother and myself very quickly changed to disinterest, once we declined an offer to rent an apartment he had somewhere in Lower Town and my limited teenager’s budget for coins became apparent. Only later in my life and career did I learn the full extent of Swadron’s “legacy” in the hobby, revealed through archived sordid news snippets of stints in the courts and behind bars for larceny, possession, molestation of his own staff, etc. While I firmly believe in speaking no ill of the departed, this individual’s profound damage to the integrity of numismatics continues to resonate in some quarters to this very day. Certainly it would cloud my own success when, over a decade later, I would open Billings Coin & Currency directly across the street from his old store. Fortunately, on settling in Westboro, I was then at an age where it was possible and safe to make my own way around the west end, either by bus or bicycle. This limited independence, together with the relative safety of the City, quickly led me to further numismatic encounters of a much more positive nature. Somehow I heard of a hobby display event taking place at Lincoln Fields Shopping Center, and with my mother’s help, I rented a table to display a couple framed collages of my world coins and banknotes (the notes being attached to velvet matting using sewing-pins, in my blissful ignorance!). Nearly 35 years later I still clearly remember a gentleman somehow involved in the event soon coming up to me with genuine interest and words of praise in what I was setting up. This was my first encounter with Frank Fesco, whom I would come to know as one of Canada’s greatest numismatic minds, and – in later years – my mentor. Through Frank, I was introduced to the venerable City of Ottawa Coin Club, which included a wonderful group of “old-school” numismatics such as Johnny Johnston, Ed Burt, Andy Wynn (already retired, but the former long-time owner of the venerable “Wynn’s Coins & Stamps” on Bank Street) , and others. As is the challenge with many clubs, young blood was a problem so I was at the extreme end of the age-scale, and the “taking of the minutes” formality wasn’t especially inspiring. But it was a fraternity, I was welcomed, and it was great. I attended as often as I could, although later in my early twenties (when I had my first vehicle), Frank cleverly primed me to take over the presidency of the club. I served for two or three terms, and looking back, credit this experience with helping (ok, forcing) me to shed the terror of public-speaking. Needles and oral presentations were my earliest phobias, and I had been remarkably accomplished at avoiding both until that point. The needle issue solved itself through common-sense and necessity, while the secret to becoming comfortable in speaking before others was all about sharing something in which you are genuinely impassioned. In my tenure as President, I also strove to promote the writing of newsletter articles by members – with mixed success – although for me, the monthly bulletin provided a great outlet to explore my own love of writing. Eventually I also discovered the Canadian Numismatic Association, the even larger “national” fraternity of collectors (of which the Ottawa club was a founding member), with their monthly Journal and 1,500+ members. I joined as a junior member, would go on to later serve a couple terms as Ontario Director, and will soon, I suppose, be receiving a 30-year certificate. Beyond the pleasure of connecting with the wider numismatic community, however, the true thrill of the hobby for me was only a bike or bus-ride away. This, of course, was the trip to a coin shop. In the early 1980s, Ottawa was very much in its hey-day for coin and stamp collectors, with no fewer than eight retail venues throughout the city. So much was collecting a part of popular culture in those days, even Eaton’s had a coin counter in their downtown Rideau Centre store! I still have the 14th Century Venetian Silver coin I bought from them as a teenager, after saving up my gardening money. Just a few blocks down Rideau Street could be found Capital City Coin, within whose fortified iron gates could be found the proprietor, Terry Frost, and arguably Ottawa’s finest selection of ancient and world-wide coinage. True, many if not most of the more interesting pieces were not actually for sale in what many teased was “Terry’s Museum”, but Capital City Coin was an important fixture in the Ottawa numismatic market for many years. He could easily come across as gruff, and let his health eventually suffer through the stresses of steadfastly remaining a one-man-show, rather than opening up his business to some supportive staffing. Around 2001 or so Terry began contemplating retirement, and warmly welcomed me into his shop to discuss the possible sale of his business. Two issues quickly came up, however: the first being that he placed a very high value on his existing inventory, yet would not permit anyone to actually conduct an evaluation on it before purchase, and – quite naively of me – I mentioned the fact that I didn’t actually have any financing. The door could not have hit me quick enough on the way out. Shortly thereafter, his store closed and I heard his inventory hit the auction block. Remarkably, his final years were spent finding peace among the great caribou herds of the North (his wife, I believe, serving as a counselor in the NWT government), and his friends gathered to bid him farewell at an Ottawa service in 2008. And yet I digress. Back to my early days adjusting to life in Westboro, my most significant coin store epiphany was the discovery of the Sears Coin & Stamp department in Carlingwood Shopping Centre. Just a short bus ride away from home, this became “my haunt”, to which I would make regular weekend visits. Money was very tight for us, so I had to spend both wisely and frugally. In the summer-time I worked the garden of a very crotchety elderly lady around the corner from our apartment (peace be upon her), who was not amused at my constant panic around bees, and who seemed to favor her garden above all others. I would earnestly save up my gardening earnings and keenly look through the albums at Sears many Saturdays – anything pre-Victorian in the English section would just thrill me – and in the winter, I had the occasional snow-shoveling gig. To my discredit, I clearly remember abandoning one lane-way in the middle of a snow-storm, so strong was the desire and excitement to get to Sears before they closed to buy my very first “Krause” Standard Catalogue of World Coins – for which I had saved up a huge $45 or so. I got the book – but was fired from the snow shoveling job. In hindsight, a useful lesson in judgment – in my case, balancing one’s enthusiasm with responsibilities. I became a regular at Sears, no doubt pestering Lorna and Marina to the point of breaking sometimes (two fine and knowledgeable ladies whom, in a later quirk of irony, I would spend more than a decade working closely with). With many years now as a dealer myself, I can identify with the fine edge that separates precociousness and annoyance. Those with common sense, patience, and an appreciation of future business health learn to appreciate and manage this – not always an easy task. Eventually in my mid-teens, I began asking about the possibility of a part-time job – whether this was spawned by a genuine interest in the business of things, or simply a desire to get my hands into the material that people on my side of the counter never got to see, I don’t frankly remember. What did become clear is that a young keener without any material working experience or business knowledge likely had a better chance at becoming an Archbishop than landing a coin-shop job, and eventually I gave up asking. At age 15 I landed my first real job at the McDonalds a few blocks up, and learned discipline and punctuality. I became the “breakfast specialist”, and put in crazy hours, driving my bike to work each day down the middle of an empty Carling Avenue at 4:30a.m. This, naturally, gave me some good spending money, and permitted great flexibility in my favorite hobby, even allowing me to explore a bit of the mail-order and auction worlds. At the age of 17 I took leave from my job when my good mother sent me on a “voyage of discovery” to England, Ireland and the Channel Islands for a month – my first significant cultural experience. Coins on the journey captured my interest as they always did, however on a shoe-string budget most numismatic souvenirs would come from the variety of coinage that passed through my pockets (with the exception of a 1928 Irish Half Crown I bought in Dublin coin shop). Half-way through my adventure I received the surprising and exciting news that I had been accepted as a participant in a Canada World Youth exchange to Indonesia. Exciting because I had been through all the stages of selection earlier in the year, only to be told at the very end that there were no spots left for me. And surprising, because I had originally applied to go to Sri Lanka – and had only vaguely heard of Indonesia. I returned to Canada in July, resigned from my lengthy 18-month career with the Golden Arches, and left the next month for the first four-month component of the exchange program which saw our diverse group of young Canadians and Indonesians living in Nanaimo, B.C. To put it succinctly, the overall program – most especially the four months we spent in a remote village in Sumatra – was a profound cultural experience, and very much shaped my world view of things. Yes, I managed to find coins – the lingering Dutch colonial influence led to pleasing finds of 19th and early 20th century Silver coinage, as well as one of the most “fish out of water” pieces in my current collection – a large 1776 Silver Bolivian 8 Real piece found in a famous market village high in the Sumatran mountains, and covered with multiple Chinese chop-marks from having circulated through the Orient. Most profound of my take-aways however, was the friendship I developed with one of my two counterparts – whose lovely sister would, several years later, become my wife. Returning to Canada with an awkward sense of both enlightenment and continued naivety, I obtained a job in the men’s shoe department of the Rideau Centre Eaton’s department store, which I enjoyed for the next two years. Not being a “downtown” dweller, the Rideau Centre was a happening place, and my customers included the political elite (House Speaker, Ed Broadbent, The Prime Minister’s wife, etc. ), diplomats, as well as interesting common-folk. One of my most poignant memories involves seeing a veteran in handsome uniform, standing at the edge of my department, looking somewhat confused. In speaking with him, I learned that he was a WWI Flying Ace, and that he was lost. I helped him to find where he needed to go, and now reflect that there are no longer any flymen of his generation left in our world. Some day down the road, there will also be no-one remaining who can tell their children that they actually had the chance to meet one. During this time I completed my high school education through the then-fledgling “Adult High School” system, and began studying history at Carleton University. What I would actually do with history I don’t recall having the foresight to contemplate at the time. With no obvious direction, however, my life and interests were still very much “numismatic-centric”, and thus what else would one logically study other than history? I excelled at selling shoes, both enjoying and understanding them, and eventually was offered the one and only full-time position in the department. In a fairly rare moment of clarity, I chose school over the position (I did not have the discipline or fortitude to do both), and soon-after transferred to the Sears at Bayshore Shopping Centre in the west end of the city, for reasons I can’t actually recall. I quickly realized this to be a mistake, as this new shoe department incorporated all three shoe classes – men’s, ladies, and children’s – within a single department. At the then age of 21, however, I determined to stick it out while I worked my way through school. I still lived with my good mother in Westboro, and quitting on either front was neither a responsible nor viable option. In one of the great ironies of my life, however, in the fall of 1988 I noted a small ad in the rarely-used “Stamps & Coins” section of the Ottawa Citizen classifieds, promoting a clearance sale on world stamps at a newly-opened shop in Lincoln Fields Shopping Centre. Though not especially interested in stamps, with my newly-invigorated interest in all things Indonesia I thought it worth seeing what they might have in the way of philatelics at their advertised “huge discounts”. I didn’t have a clue that responding to that small ad would profoundly change the course of my life.